So you're ready to sell your home or condo. Congratulations! That's step one. Now all you have to do is get the place into good shape so that it'll sell for top dollar. Every home owner has a unique style and personal design aesthetic, but that may not resonate with your buyer. Sometimes you need a little help showing your home off so that potential buyers see your space as a place they could call home. Some homes need a modern, updated style to attract buyers. Others need to be decluttered and staged with the right furniture to give the impression that the space is larger and more spacious. Cleaning your clutter can help your home sell faster or even increase the sales price. Whatever the case is, you might consider hiring home stagers. Typically home stagers or realtors will tag items -- furniture, boxes and miscellaneous items -- they want removed from your home before it's shown. Often, All Jersey Moving & Storage is called in to help de-clutter homes before potential buyers are brought in! All Jersey Moving & Storage is a moving company with years of experience helping home stagers, realtors and homeowners with this invaluable service. What's the mover’s job when it comes to professional home staging? They work with home stagers to make the magic happen. 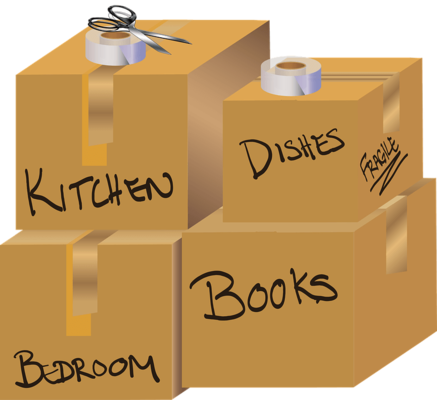 Maybe you need help packing up your personal belongings and furniture in preparation for storage while your property is being shown. Often a professional mover is utilized to bring items to their storage facility and hold until the items can be delivered to their new home. Sometimes the team is called in to simply reposition or move furniture inside the home. It's amazing how a little creative shifting can completely change the appearance and "feel" of your home. Or perhaps you need a local moving company in New Jersey to move the new furniture and decor into your home...and move back out when the home has been sold to the highest bidder. Whatever the case is, you need professional movers that you can trust to do the job right. Hiring a trusted moving company will help make sure that your furniture is kept organized and in good condition. It will also give you peace of mind that your home -- walls, stairs and flooring -- won't be damaged in the process, leading to unnecessary repair costs. On average, in preparation for home staging, the movers at All Jersey Moving & Storage remove about 75 boxes and miscellaneous items ranging from exercise equipment and furniture to mountains of children's toys. These items are brought back to their storage facility and typically, two storage containers are required. All Jersey Moving & Storage can load those containers at your residence to minimize labor costs. They also provide storage blankets at no additional charge to protect your belongings. Whether you're a homeowner, a realtor or a home staging expert, make sure that you choose your moving company carefully. Staging your home can bring in a buyer prepared to pay top dollar...and with the right local movers, it doesn't have to cause you a headache in the process. Visit for more information about All Jersey Moving & Storage. All Jersey Moving & Storage also offers residential and commercial moving, piano moving, long distance moving, senior moving, packing and unpacking services, and more.